These coat racks / hooks are created with wrought iron and are all wall mounted. 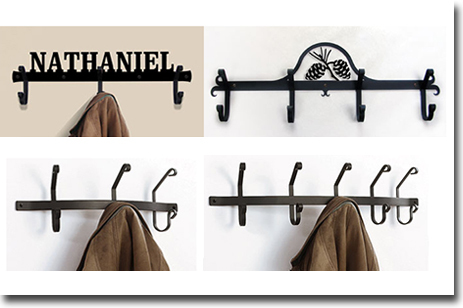 With their satin matte black powder coat finish they add a bold statement to any wall. Choose from an understated plain look or choose one of our silhouette designs. These racks are made in the USA.